We've got one of the biggest games of the college basketball season to date on our hands in Chapel Hill on Monday night between the No. 4 Virginia Cavaliers vs. No. 8 North Carolina Tar Heels. 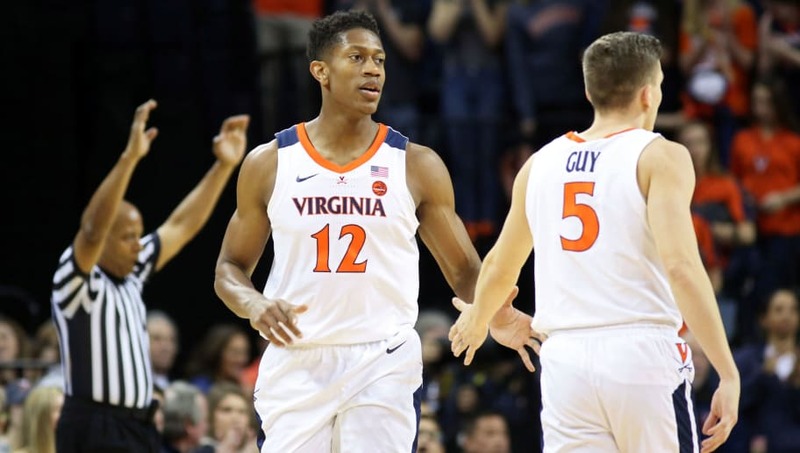 The Tar Heels are currently 1-point favorites over Virginia, via FanDuel Sportsbook, but don't miss what other experts predict will happen before you make your own decisions. Here are some expert picks for the UVA-UNC showdown. Joe Boozell of NCAA.com has tonight's ACC showdown falling ever so slightly in the Tar Heels' favor with a two-point final advantage at home over the Wahoos. KenPom predicts a 72-70 win. Barttorvik predicts a 72-69 win. GameSim predicts a 73-69 loss. Ken Pomeroy of Kenpom.com likes the Cavaliers over the Heels in another tight prediction between the scoring ballpark of 140-142 total points. Even though ESPN's BPI prediction doesn't include projected scores for either team, it clearly favors the Cavaliers on the road with a 57.9% percent chance of leaving the Dean Dome with a victory. Whether you're basing it off pure score predictions from sources like Pomeroy or win probability from the ESPN BPI predictor, there seems to be more behind the Cavaliers in Monday's matchup.